Shanghai Huawei Welding & Cutting Machine Co. Ltd. 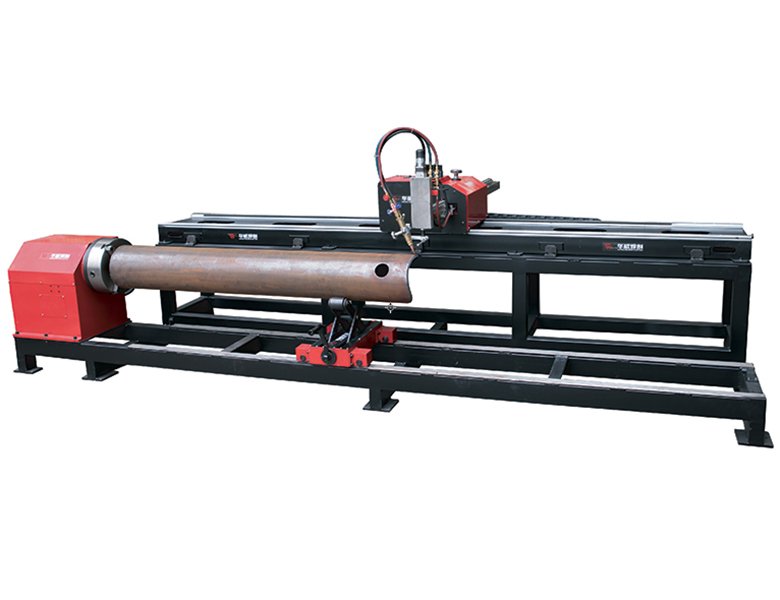 The XG-300J CNC is able to do the plate cutting and pipe cutting. For the pipe with diameter <=300 millimeter, it is able to do the tee holes, circular holes and centex line offsets by different positions for pipes. It can ends cutting of split elbow. 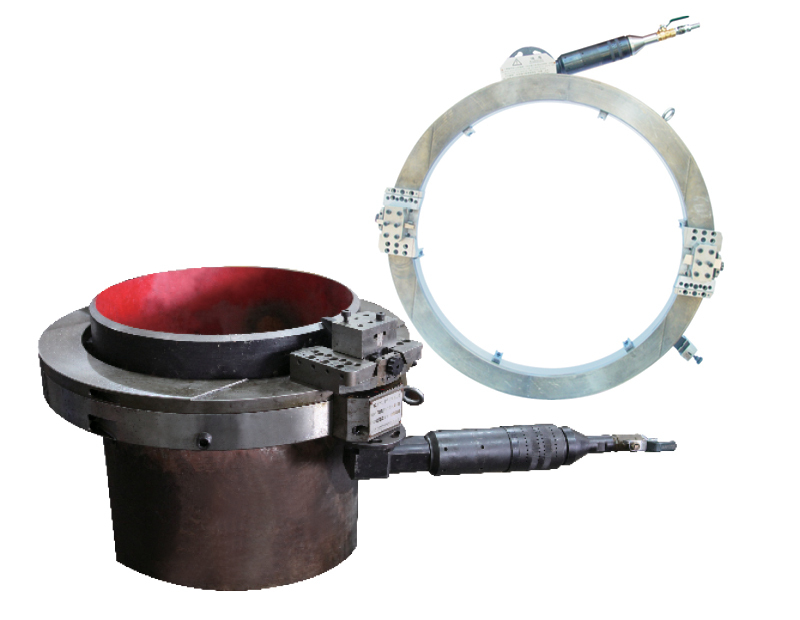 It is able to do the rectangular holes and ends cutting pipe. It uses a high-quality drive system to ensure high moving stability and mechanical precision. 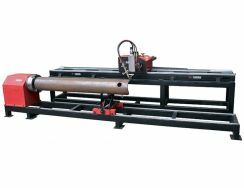 The ISD/GPX sModel electric split frame pipe beveling machine cold cutting beveler has many functions. It is widely used to cutting, machining groove and flange. There is a big range of the thickness of pipe. The characters are following:1）The light makes the machine is a perfect tool with a small clearance of radial. 2）The simple design reduces the complexity by 40% and improves the compatibility. 3）The GPX-600 beveler cutting machine can cut the pipe with 600MM diameter. 4）Adjustable pillow is combined with reinforced bottom pillow. They improve the dependability and serviceability. 5）Fix the system and button up the pipe easily. 6）The slid platform of blade adapter is high strength. The life of it is long. The accuracy is high. 7）You can adjust the fastening parts by a standard spanner. It can choose to electric drive or air-powered drive. 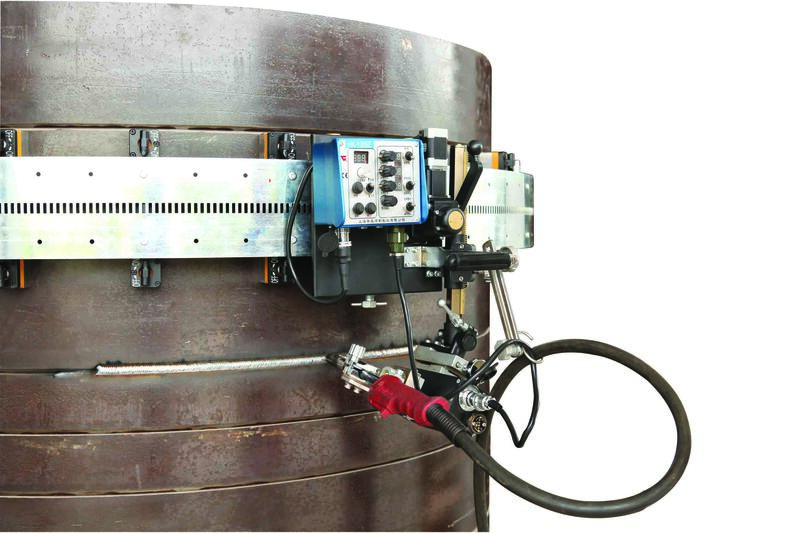 The machine has a swinging function, and there has a various welding modes can be chosen to achieve the best welding performance.Wavering speed, angle, off-centering position, and left and right stay time can be adjusted. Additionally, all parameters are displayed by digital tube.The machine has flexible rails, is suit for welding of pipe with large diameter,The machine uses a brushless-motor-driven to ensure the machine move steadily and high-quality welding performance. CNC cutter is a modern cutting equipment, which controlled by digital program. Except the high automation, it has the advantages of high precision, efficiency and material utilization. With the development of machinery and electronics and computer technology, CNC cutters are more and more attended by enterprise due to good man-machine interface dialogue, strong auxiliary functions and the lower equipment investment. It is widely used on many fields. 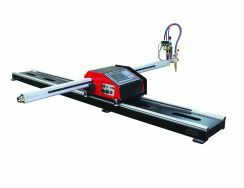 The CNC cutter is constituted of framework, vertical drive, horizontal drive, rail, cutting torch components, CNC system, gas circuit system, electric system and vertical, horizontal towing device of hoses. The cutting machine is modern cutting equipment with digital program control. In addition to automated cutting, it has high cutting precision, high material utilization and high production efficiency. 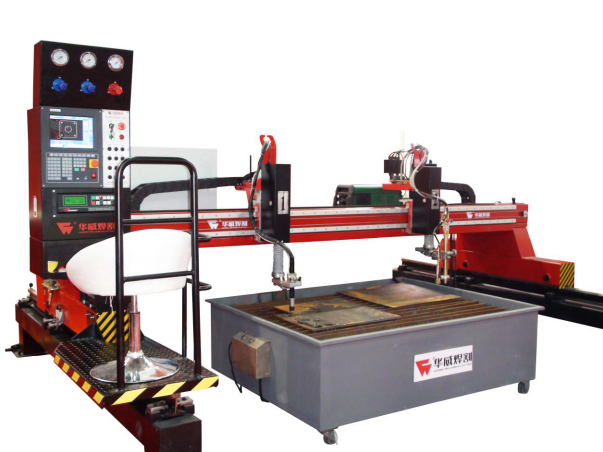 Along with the mechanical electronic technology and computer technology progress, the CNC cutting machine with its good man-machine dialogue operation interface, powerful auxiliary support function and relative low equipment investment, is being valued by more and more enterprises and more widely used in the production. Flame cutter is one of main products of our company. It is designed well and beautiful. We adopt many advices of customers and hold technical seminars. Then, we do technical innovations and optimizations for it. This machine adopts new material, which improves the serviceability, durability and heat-insulating property. The enterprise of Huawei start at 1983 when we produced the first set of electrode dryer. 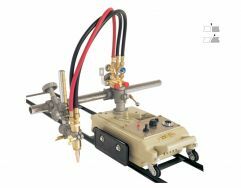 Shanghai Huawei Welding & Cutting Machine Co., Ltd. was incorporated at 1995, which is the leading enterprise in domestic industry and has always specialized in R&D and manufacturing of cutting & welding machinery for 30 years. 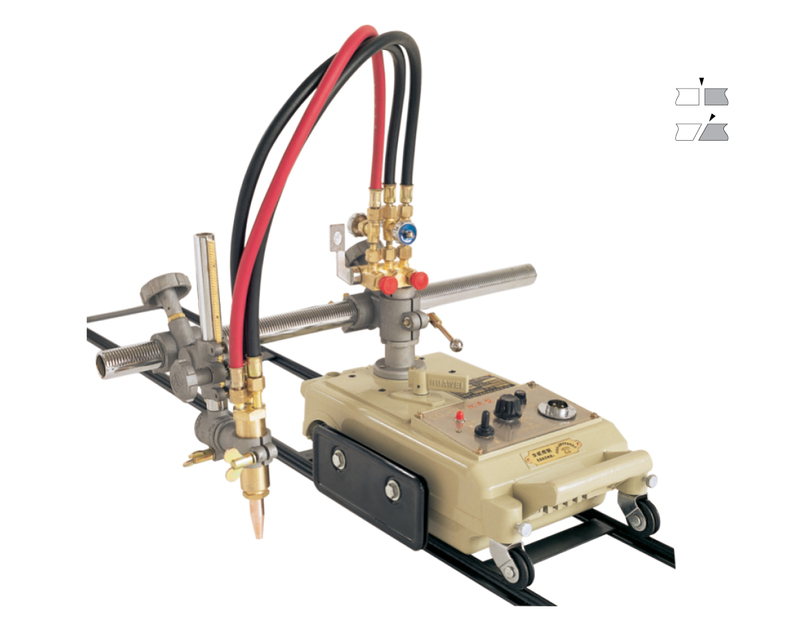 Our featured products are gas cutting machine series, CNC cutting machine, welding tractor, beveling machine, electrode dryer and oven, and other welding & cutting accessories.